As part of my continuing series profiling the most expensive luxury neighborhoods in Mississauga, Canada, today we take a look at Credit Mills, a newer area of large homes constructed in the 1990’s. Credit Mills is one of Mississauga’s finest and most expensive areas. So once again, for a full review with pictures and prices, see my feature article on Credit Mills homes. Mineola is a premium area of expensive homes, located in south central Mississauga, south of the QEW highway, and just north of Port Credit.. Although Mineola Road has both an east and a west section, the latter, known as Mineola West, has the most luxurious properties. The greatest characteristic of Mineola is perhaps the tall tree canopy which gives the area a park like setting. Residences typically have large forested lots, and today Mineola is seeing a lot of redevelopment, where older homes – bungalows and cottages – are being replaced by palatial modern structures. Visit my full article on Mineola homes for a complete rundown on location, prices, amenities, and photo tour. 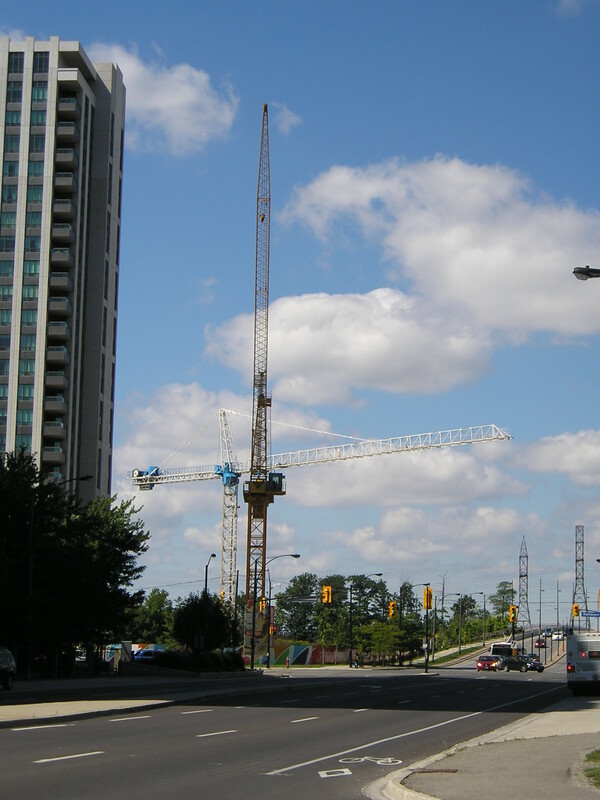 Mirage condo, located at the corner of Confederation Parkway and Rathburn Rd. W., had a couple of construction cranes installed over the last few days – excavation is complete, and concrete pouring is commencing! Mirage is a 22 storey new high rise condo project by the Conservatory Group, with occupancy scheduled for August, 2014. City address is 335 Rathburn Road W., Mississauga. All around the Square One area, the housing density keeps increasing…..and the beat goes on…..